In a large bowl whisk together the butter, granulated sugar, vanilla, and eggs until blended. Next add the flour, baking powder, and salt and mix until just combined. 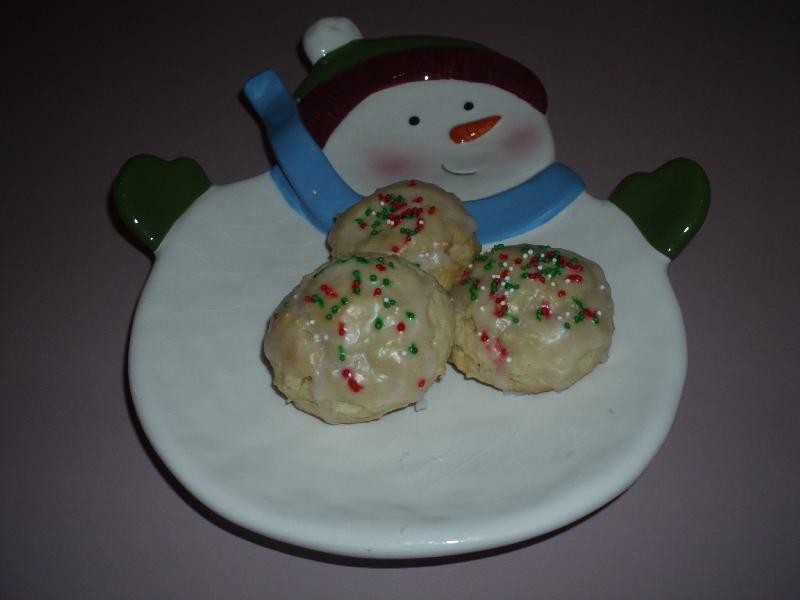 With floured hands, roll level tablespoonfuls of the dough into balls and place on parchment lined baking sheets. Space them about 2 inches apart. Bake until puffed and the bottoms are golden. About 7 to 8 minutes. Transfer to a cooling rack and cool completely. Sprinkle with nonpareils. Allow to set about 20 minutes.